Have you ever wanted to help out when a natural disaster happens but didn't know where to start? 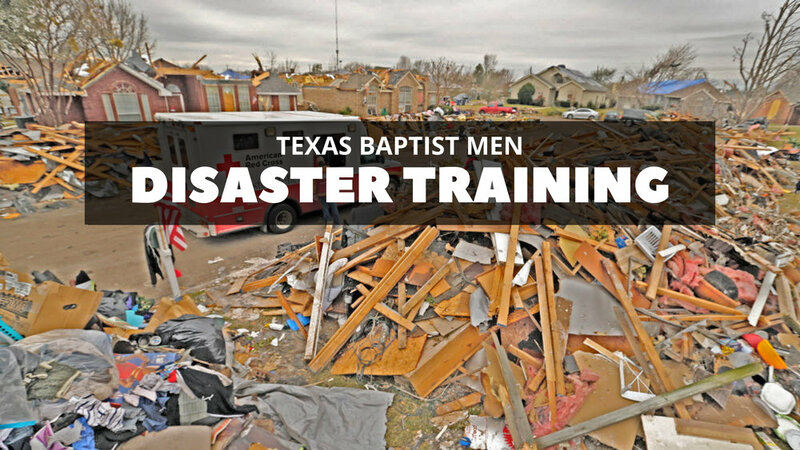 Texas Baptist Men are always on the frontlines of thes things in Texas. They have several trainings throughout the year to get more folks involved. If you'd like to join us, sign up below to let us know you are planning on attending. **A group of us will be carpooling from Game On Athletics. We will leave at 7:50am in order to get there on time. Email Associate Pastor Josh Yen for travel arrangements or if you have any questions.